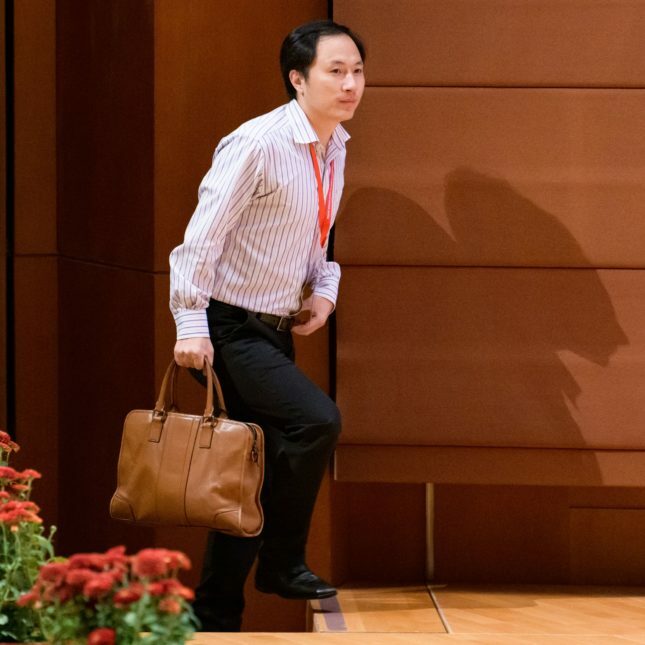 The Chinese scientist who created “CRISPR babies,” He Jiankui, sincerely believed that the research violated neither his country’s laws nor the guidelines of the international scientific community, according to his friends and colleagues. He didn’t exactly keep his experiment secret: He told at least four U.S. scientists that he was considering establishing pregnancies with genome-edited IVF embryos, enlisted a U.S. scientist to work at his Shenzhen lab, teamed with a Chinese hospital and IVF clinic, and proudly announced the birth of “Nana” and “Lulu” on YouTube in November. Though researchers forcefully condemned He’s work as unethical and a breach of a scientific red line — and while the Chinese government has since accused him of breaking their laws — He clearly hadn’t gotten the memo. Now, in an effort to prevent another He, 18 scientists from seven countries have called for “a global moratorium on all clinical uses of human germline editing” — that is, changing DNA in sperm, eggs, or early embryos to make genetically altered children, alterations that would be passed on to future generations. They say a moratorium should be in place for at least five years. The authors calling for a moratorium include Feng Zhang of the Broad Institute and Emmanuelle Charpentier of Berlin’s Max Planck Institute for the Study of Pathogens, two of the scientists who, separately, led the development of CRISPR for genome editing; Harvard University’s David Liu, who invented a precision form of CRISPR; and Broad director Eric Lander, who was co-chair of President Obama’s council of science advisers. In fact, neither the first international genome editing summit, in Washington in 2015, nor the second, in Hong Kong last November, where He announced his experiment, called for a moratorium. “We have consciously not used the word ‘moratorium’ because people mistake it for a permanent ban and it would be hard to reverse,” said David Baltimore of the California Institute of Technology, who chaired the organizing committees for both summits. “A moratorium limits your options and doesn’t send the message that people might benefit from this one day. The present call for a moratorium strikes me as the wrong approach,” said the Nobel laureate, who in Hong Kong gave an impassioned denunciation of He’s work. Baltimore calls the disagreement semantic, and denied that he and Lander, with whom he discussed the Nature paper before its publication, differ in a fundamental way. The official statements from both genome summits, as well as an influential 2015 essay by Baltimore, Doudna, and 16 co-authors urging a “prudent path forward” for germline editing, all noted numerous criteria that would have to be met for clinical germline editing (that is, to make babies, not as part of basic research without a pregnancy) to proceed. Although Baltimore argues that those statements “were unambiguously designed to say we were not ready to move forward,” the most forceful recommendation in the “prudent path” paper was that countries should “strongly discourage” germline editing until “responsible uses” of it, if any, are identified. Words matter, said science historian Ben Hurlbut of Arizona State University, who had numerous discussions with He before “Nana” and “Lulu” were created. “My impression is, if ‘moratorium’ had been used, meaning a categorical prohibition on germline editing for reproduction, it wouldn’t have happened,” Hurlbut said. Instead, He weighed the criteria for germline editing in the 2015 summit statement, the “prudent path” paper, and a 2017 National Academies report and “believed he had checked all the boxes,” Hurlbut said, including that the procedure was safe, effective, and addressed a serious unmet medical need. None of that was true, but the absence of a blanket moratorium — even when confidantes urged He not to proceed — allowed him to follow his own subjective judgment and self-interest. Expert opinion nonetheless remains divided on the wisdom of a moratorium. Opponents fear that a formal ban, perhaps backed up with country-by-country laws prohibiting germline editing for baby-making, would be hard to undo. The current “effective moratorium,” as Doudna calls it, the one every scientist supposedly recognizes, can more easily melt away if the regulated community itself — genome scientists — reaches a consensus that the technique has cleared the hurdles of safety, efficacy, benefit, and societal support. In contrast, scientists who support a moratorium point to He’s experiment as proof that what currently exists didn’t work. Sidestepping the debate over a moratorium, Lander said “the real question” is what countries do while it’s in effect. “We take for granted that countries will pass laws if they want to prevent” germline-edited babies, he said. (Clinical use of germline editing is already illegal in about 30 countries.) In addition, he said, the moratorium period should be used to establish an international framework by which countries could alert the world if they intend to allow CRISPR babies. None should do so, he and his colleagues wrote, without “a period of public notice (perhaps two years) of its intent to consider permitting” CRISPR babies, “robust international discussion about the pros and cons,” “evaluation of both the technical, scientific and medical considerations, and the societal, ethical and moral issues,” and determining that there is “broad societal consensus in the nation” to proceed. A moratorium won’t stop rogue scientists, Lander acknowledged, but he dismisses the concern about it not preventing another Nana and Lulu as “irrelevant. A rogue action doesn’t change the world. The real issue is, will a country go down the path of [genetically] modifying people” via germline editing. They’re afraid that some babies will be superhuman from the outset, and of course, that will break equality, that western shibboleth since the 18th century. Time to reach for something better and higher than man! Aren’t current babies crisp enough? For a moratorium as well as “uniformly accepted standards” for CRSPR-ing new humans with altered genetics, laws need to be written, on a global scale. So the “homework” applies to both scenarios. In either case, rogue scientists who play by their own rules (like HE) will unfortunately always exist. With a moratorium the limits and allowances are much clearer, with minimal grey areas for differing interpretations. A moratorium is for humanity’s sake. Focus of the valuable CRSPR techniques should be elsewhere : on saving existing lives, curing diseases, learning from the results. Just as for drugs and biotech development, there should be ample study-time, certainly for a technique with such serious alterations as CRSPR can cause. With newly created human types thrown in the mix prematurely, true research would be impossible due to the unknown newly generated variables. Research is not served by premature, uncontrolled, hap-hazard rogue activity. In my opinion, Innovation should never be delayed, we can use Blockchain to create multi-signature smart contracts around each germline editing pipeline to seek consensus and safety clearance by a Global Committee of experts case by case. In the race to cure awful genetic diseases or augment a human characteristic, someone will inadvertently make a gene drive that’ll wipeout the human race. Or maybe they’ll do it on purpose. Try making a woman from a man’s rib.